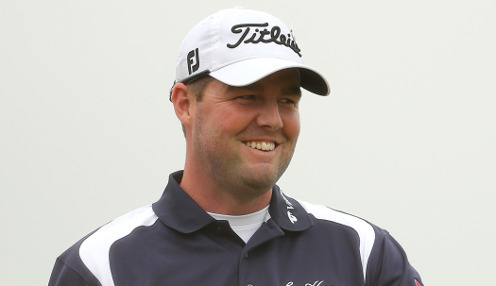 After winning last week's CIMB Classic in Malaysia, Australia's Marc Leishman heads to the CJ Cup at Nine Bridges hoping to avoid a repeat of last year's play-off defeat. The 34-year-old from Victoria was a dominant five-shot winner last week in Kuala Lumpur and arrives on Jeju Island in Korea riding the crest of a wave. Hopefully, I can play well again and go one better than last year. "Golf's a funny game," he said. "It can change very quickly from bad to good or good to bad. It was certainly a goal of mine to win this season and to win my first event is great. "It's a lot cooler and wetter than it was in Malaysia, but I'm looking forward to this week. I'm excited to be back in Korea, I have a lot of good memories here at this golf course. Hopefully, I can play well again and go one better than last year." Twelve months ago Leishman set a target the 54-hole leader Justin Thomas could only match, however, the American claimed the win at the second extra hole. For Leishman it was further evidence of his fondness for Korea, the country where his journey as a professional golfer began. "Playing the KPGA was a very good experience," he said. "It was the first tour I had ever been on and I was very excited to be up here. I met a lot of friends, a lot of Korean golfers that I'm still friends with now. "Travelling in a foreign country by myself, that teaches you things very quickly. I've got a lot of good memories from 2006." A typhoon swept through southern Korea two weeks ago and yet Leishman confirmed that conditions are drier than last year. "The course is amazing," he said. "The fairways are firmer, they're definitely playing a little shorter and the greens are perfect again." Leishman is 15.00 to make it two wins in a fortnight, while Thomas is 6.50 to retain the title, with Brooks Koepka 10.00.